If you thought blogging was an easier way to publish content for the majority of people, consider twitter as a micro-blogging tool. Twitter is one such service which is becoming a rage among bloggers. you come across the twitter gadgets and twitter bookmarks on many popular blogs and websites, which is an indication of growing popularity of twitter. Many of you already know of Twitter and for those who don't know, this is how twitter describes itself. Twitter has a clean and simple interface, it makes publishing content easier and faster, even simpler than most blogs. once you have registered on-site, you can start posting your updates(not more than 140 chars. at a time), you will eventually get people who will "follow" you around on twitter and make you more popular. Twitter, is the latest tool for blog promotion as well, Register on-site and create your own space on twitter, publish frequent updates using the main site, desktop clients, mobile devices or widgets and gadgets developed by third party and create a fan following, which will send free traffic to your blog. 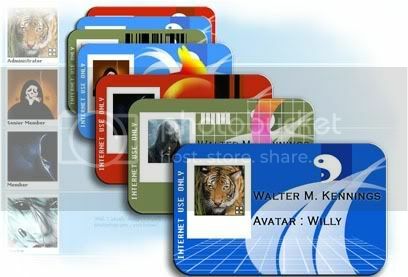 Avatar's are graphical representation of your online identity that you assume when participating on discussion forums, blogging or in any of the social networking sites like orkut, technorati, digg etc. There are variety of images available freely on the internet which you can choose as your own avatar. An avatar is like your first impressions, which people notice instantly and as it's said "First impression is the best impression".